IU Bloomington will host its annual Three Minute Thesis Competition on Thursday, February 28, at 4:00 p.m. in the IMU Frangipani Room. 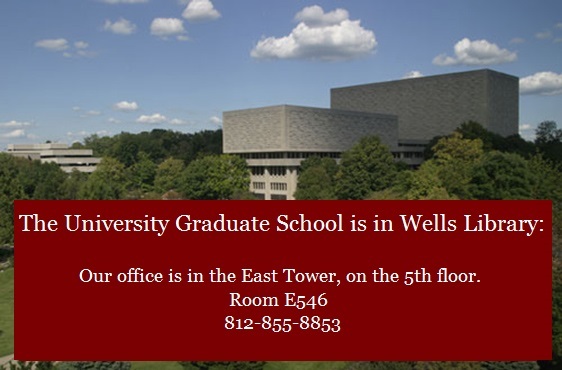 All current IU master's and doctoral students are eligible to compete, and attendance is open to the public. $1000 in stipend prizes will be awarded. Click here for full competition and registration details. Interdisciplinary and high-quality research is supported by grants and awards from federal, state, and nonprofit agencies. In 2012, IU received a near-record $533 million in external research awards. Ground-breaking technology exists around every corner of campus, and 19 IU Bloomington libraries house more than nine million books to aid in your effort to explore and create new realms of knowledge. Join us. Choose from more than 190 graduate degree and certification programs, and partner with today’s greatest scholars.